Imagine an alien race that's advanced enough to wipe out humanity. They are here and they want Earth. They know we are not gonna let it go easy 'cause they've studied us for decades. Assuming they have very advanced technology, from a strategic point of view, what would be the best way to eliminate us as quickly as possible? Imagine you are the alien commander. What would your tactics be? Kill the electronics with EMP's to disrupt communications? Bombard major cities first to avoid blowback? Spread known diceases like the black plague to kill them from within? The ideal answer must take into account the vastly widespread human population and the many nations with their own millitary capabilities, 'cause people will try to fight back - or hide. I'm changing the original statement that all humans must die. I can settle for 99,99% - in a way that it's impossible for humanity to ever recover. If they have studied us for decades they can use our DNA, design a virus that targets specifically humans, uses birds and plants as a natural reservoir and is 100% lethal. If some people develop immunities, you can use more advance weapons such as kill sats or swarms of nanobots killers or just conventional weapons if you managed to make enough chaos to destroy any form of resistance. Infiltration, prior to extermination is the only safe tactic. The indigenous humans have created too many deadly devices, (some of which, like nuclear power plants, require constant maintenance to not fail catastrophically) to safely depopulate the planet without ramifications. Beyond the direct threat of their technology, your mandate not to harm other life adds an additional complications. Humans imprison a variety of other species in zoos and food-factories and without the intervention of humans, those innocent prisoners would starve to death very quickly. So the only way to fulfill your mission is to first infiltrate the human population and put your operatives in all of the key maintenance positions. Then and only then, can you safely release the highly-contageous, symptom-free, species-specific deadly viruses which will handle the actual killing. What you need is pinpoint accuracy, Nanobots is a good way of doing that. A swarm of Googolplex (yes that's a real number, 10^(10^100)) coming down from the sky and munches away on all the human cells they can find will make short work of humans while leaving everything else untouched, the reason I think nanobots will be better then a Bioweapon is that viruses\bacteria can have immunity by a small percentage of the population but I've yet to meet the person who's immune to being bitten by a hoard of microscopic mouths (or drilled with microscope drills, or cut with microscopic saws, or... you get my point). We could try to fight them with EMP's and such but to be honest any alien that has the technology to travel to earth can likely also manufacture those tiny buggers at such speed and quantities we will all be dead before the first scientist will have time to put one under a microscope. It can be engineered to affect only humans, leaving all other organisms unharmed. It is extremely efficient, feeding and replicating itself without any input from you. It can be engineered to be airborne, thus speeding contamination and replication, and making containment extremely difficult. It can be engineered to be resistant to cold and modern medicine. If some sort of quarantine is set up fast enough, just drop it in a few places. It cannot be beaten. If you have the ability to engineer the perfect disease, you likely have the ability to engineer another disease which can quickly eradicate it from the planet, just as easily (if necessary for some reason, once all the humans are dead, of course). Instead of trying to outgun Earth and leaving giant craters everywhere, or trying to cripple our electronics, just sit somewhere in space the humans can't reach you, and engineer a breed of these microbes, keep a few in containment for backup purposes, and release the rest in high-population areas across the globe. For maximum spread, give it a very high incubation period, allowing it to be spread fully before any symptoms manifest themselves. To be especially tricky, make it mimic another disease or condition, thus delaying its proper identification even more. There will still be pockets of isolated humans, especially those living on small islands. To fix this, engineer the disease to be carried by other animals, without affecting them. There are examples of this in nature (reference needed). Birds are a good candidate, as are fish for the above-mentioned islanders. Dogs could work well for isolated survivalists. There will still be some final hold-outs, filtering their water and raising their own food where your disease can't get at it. You have two ways to get to these final survivors: either destroy them with superior weaponry, or engineer your disease to be carried via various ground mites, and thus under any walls the survivors can put up. Inevitably, you will miss some humans. They might hide out in sealed rocky caverns or old cold war bunkers. They might even keep the species alive. It doesn't matter. They'll eventually run out of space/food/oxygen, and need to surface. And when they do, your disease will be covering the planet like an invisible blanket, just waiting for the last humans to raise their heads and take a whiff of air. In the end, disease is the ultimate killer. If we can't stop it and we can't contain it, then there's nothing we can do. Others have raised valid points involving the humans' deadly weapons. I don't think this is a concern though, if they never have the opportunity to use them. If you're attacking via disease, you don't need to be orbiting Earth. You don't need to be close by at all. Just launch the microbes from afar, while hiding behind a planet/moon. The humans won't even know that aliens are involved. Even if they do somehow spot you (and even then, they have to be looking for you first if you're hiding), they can't get to you fast enough. Assuming that we're talking about modern day humans, any missiles or ships they launch will take days, months, possibly even years to reach you. You have plenty of time to detect any threats and blast them from the sky... er, space. Another excellent point was mentioned by Henry Taylor, about the machines requiring human presence, and the animals stuck in zoos requiring feeding. This is the one problem with the disease scenario. It's going to be impossible to save every domesticated dog, cat, and bird, so some animals will die. This should be acceptable. It's very far from eliminating a species. If you're really bent on saving as many animals as possible, the zoos are your best bet. Send down landing craft at the biggest ones once the humans are too weak/dead to do anything about it, and take over. There might be some resistance, but this can be dealt with by developing a fast-acting strain of the virus, which kills within hours. All humans within a ten mile radius of the zoo are bombarded with this strain from space, and subsequently die before they can do anything. One problem with wiping out all humans is that certain dog breeds - specifically those with short legs, are going to be in trouble. These dogs were bred for aesthetic purposes, and won't do well in the wild when in competition with their more able cousins. Unless you start adopting these dogs, they will all die off eventually. Another problem of killing all humans is the machinery which requires us to keep running. Even if the worst happens and these buildings turn into a gigantic ball of flame, the affected area is quite small, and the damage to the planet definitely won't be permanent. In all likelihood, all animals have long since fled from such industrial areas, so the effect on the fauna will be minimal. And if there is machinery you feel you simply cannot let blow up... just send down a landing craft and stop it. What about nuclear power plants? According to this question on this very site, those are unlikely to go off, and even if they do, they will not turn into atomic bombs. Worst case scenario is something like Fukishima, where radioactive material is leaked into major ocean currents. And again, if something like that is about to happen, send down a landing craft to stop it before it does. These three things: the ability to hide, the ability to send down landing craft and take over for humans where needed, and the ability to create and manipulate viruses, are all that you need to effectively wipe out all humanity. You will not find a more cost-efficient or nondestructive method. The problem with trying to get rid of all humans is the increased difficulty of even finding new targets when the human population gets small enough. Killing the first 3.5 billion humans is easy since 50% of humans live in or near cities. From orbit, just look for the big patches of light on the planet's surface. Throw big enough rocks at all those lights and you've killed half of the humans in fairly short order. There's a huge loss of animal life with this approach...oops. Wait a few months then look for all sources of heat on the planet surface, especially after night falls. Develop a 1 meter resolution profile of hot and cold patches on the surface. Forest fires, geothermal, radio-heated and other 'natural' heat sources will have distinctive signatures so you can ignore them. However, human cooking fires should be visible from orbit or from high altitude surveillance aircraft. Launch orbital strikes with terminal guidance capabilities at those cooking fires. Maintain a long standing campaign of this kind of bombardment. Humans have evolved to be dependent on cooking their food. If they can't cook their food, they have less time to spend foraging, hunting, rebelling. Their time is spent chewing. Lots and lots of chewing. Eventually, the humans will learn how to cover their cooking fires so that they don't invite attack. Hunter gatherer humans will be much harder to track but at this point, human activity essentially doesn't matter anymore. Modern h. sapiens have been pushed back 5000 years of progress. It will be a very long time before they can come back. In addition to the cooking fires, most modern machines produce heat so aim your orbital projectiles at those heat sources. Trucks, trains, cars, factories, refineries, power plants...all these produce heat. Aim your orbital projectiles at these heat sources and you'll drastically reduce the available machines that humans can use. All of this can be done from orbit. No need for a messy, expensive ground campaign. And as the aliens, you've got all the time you need to finish the extermination. Your preference for not killing wildlife means you want the biosphere for something; indicating long term interests in the planet. You've got time to wait. If your aliens aren't in a hurry, the easiest way is to release a plague that causes everyone to become sterile. This technique is used by us to eliminate problem insects. Google's parent's company, Alphabet, is using this technique to combat mosquitoes in Fresno County California. Without reproduction, a species will become extinct within one generation. The onset would not be noticeable. The victim would experience a mild fever, body aches, maybe some fatigue. The symptoms would resolve in a few days. The first warning medical science would have of the seriousness would be a statistically significant drop in births (The US Federal government notices statistical drops in births from a single Ob doctor retiring in a rural hospital.) By that time, it would be impossible to try to contain the contagion. The aliens don't need to infect everyone. If 75% were affected, the human race would be extinct. Society would collapse long before everyone dies. As folks age, huge issues will rip apart societies. With no younger workers to support and replace older workers, social services break down. Famine and disease would kill billions. After 120 years, 99.99% of the human population would be gone. Pockets of folks who didn't get infected would be living in small tribal groups, far away from any population centers. These could be mopped up without any worries. It's slow. It would take between 40 and 80 years for the existing population to die off. It gives humanity time to seek reprisals, if in their power, against the aliens. While humanity can't even go to the next star, and since any alien species which can master FTL would be mostly immune from whatever feeble attempts to attack them, it would be conceivable that humans may decide to render the Earth unuseable after their gone. The story Screwfly Solution proposed this. It was based on a pheromone used to kill off screwflies by making the males attack females. Within a generation there are no viable humans remaining to breed, so look! Empty real estate! Prions are infectious proteins. They can infect by just about any route including aerosol or ingestion. They persist in the environment for decades. The neurodegenerative diseases caused by prions are invariably fatal. The incubation period is months to years. The planet will be dusted with prions from the air. Multiple dustings will take place. Prion protein will be everywhere - in the air, food and water. The humans will be unaware of this because prions are not intrinsically toxic, but over the course of multiple dustings, every human will be infected with prions one way or another. Once people begin falling ill it will be too late to do anything about it. Prions can cross infect other animals to some degree; some humans contracted mad cow disease. I think many primate species might also be wiped out by the prion dusting approach. The problem is humans are clever, and can adapt faster than you might expect. So hit them with several different methods of extermination in rapid succession. First, release a virus or set of viruses that target popular food and feed crops, give that a few months to start taking effect. Make them start using up their food reserves. Then, release your anti-human virus. Weakened from food shortages, humans will be more vulnerable. A good virus should have a slow onset, so that carriers can still travel and infect others. You don't want a quick acting virus, you want it spread around before they realize what happened. Give this a few weeks or months to maximize distribution. Then, pummel their cities and infrastructure with rocks from space. This will make it difficult for them to research cures, spread remedies, and coordinate emergency response. You want to do this after releasing the anti-human virus because you want that to spread quickly, so you still need their transportation infrastructure in place. Now sit back for a few months and wait for the ones not killed by the virus to starve. Finally, hunter/killer drones and a few additional well placed rocks to pick off the pockets of stragglers. For those small, isolated human populations who were not discovered by modern humans, you can safely ignore them. For now. This strategy shouldn't scar the Earth too much. You'll get a lot of craters where cities were, but you were going to clear those out anyways. Nature should take those back over fairly quickly. Death from the Skies has a scenario that I think would work pretty well. The aliens launch a probe that drops essentially a factory on a largish asteroid, then continues on to other star systems to do the same thing. This factor uses the asteroid as raw materials to build more factories, which it launches to Mars. These factors start duplicating themselves until there are enough of them. Then they start building and launching wave after wave of ships loaded with killer robots (probably small but not nanobot-size) to Earth. They simply overwhelm humans with huge numbers. The robots could be programmed to not kill anything besides humans. The reason this works is because the factories duplicate themselves exponentially (geometrically if you want to get technical). 1 factory becomes 2, 2 becomes 4, 4 becomes 8, etc. They could have one factory per human cranking out spaceships loaded with killer robots after just 33 replications. And since this is all happening on another planet, by the time humans can get around to building something to counterattack and it traveling the distance to Mars it will be too late. Even if humans launched a counterattack immediately it wouldn't arrive on Mars for at least 150 days. And that is not including the time it takes for humans to realize what is going on and actually build something capable of attacking Mars. If you want minimal collateral damage your best bet is lasers. Just put satellites in orbit around Earth with powerful telescopes and powerful lasers. It shouldn't be difficult for your aliens to construct these devices. We could do it now if we had the mind to. With a powerful enough laser, it would only take a few milliseconds to vaporize a sufficiently large cavity into the top of an unprotected human head. Let's say it takes 10 milliseconds to acquire a target, aim the laser, and deliver sufficient energy to kill a human. Reasonable in my opinion for an alien civilization capable of crossing the stars. This laser satellite could kill ~10 million people a day. Alone this laser would take a couple years to wipe out all of humanity. But of course, why would you just build one? Build 1000 of the satellites and anyone not covered will be dead in less than a day. The other advantage of using a laser weapon is it prevents humans from utilizing their nuclear weapons to muck up your new planet. Any doomsday scenario runs the risk of humans freaking out and nuking each other. Lesser intelligences, am I right? With lasers, every missile they launch at you or each other will be harmlessly knocked out of the sky within seconds. Now, what about those pesky humans who happened to be indoors when we started shooting or managed to make it to an underground bunker? Well, it depends on how patient your aliens are. Eventually, most of them will have to come outside for food or water and will be instantly acquired and eliminated. If your timetables are tighter because, hey, you've got other sentient species to eradicate, then those in more well-stocked facilities can be eliminated by messier means such as orbital bombardment or robotic ground troops. Well, not necessarily cancer... Create a cure of vaccine for a deadly disease, with a hidden twist: It introduces a genetic defect that causes viable male sperm to almost "Y" chromosome. Have a shell company produce, fund and distribute it to all children at birth. Someone will notice that no new females are being born - but, hopefully, by that point your shell-company have already applied the vaccine to most of the world's population. Just sit back and wait a hundred years or so, then mop-up the survivors. I think the biggest problem with answering this question is that we are placing ourselves in the boots of a life form we know nothing about (i.e. maybe they only wear flipflops) What do they look like? Where do they live? What do they breathe? How many of them are there? What resources do they have? The answer depends a lot on the circumstance. That being said, here's a few ideas i came up with. Create a remotely activated parasite that would hide inside humans until it received the signal to active and destroy it's host. It could be implemented into anything edible such as coffee, apples, chicken, that sort of common thing. Add some sort of death chip to technology such as phones and electric egg beaters that, once activated, would kill the person using it. Final Note: I wrote this on a phone so sorry for any errors. I'm a bit curious as to why the aliens are only interested in exterminating humans? If they want to seize the real estate then they would likely discover that Earth isn't a very welcoming place, as a minimum most aliens would be suffering from severe allergic reactions to the proteins in Earth's ecosystem and it is highly unlikely the composition of the atmosphere, day/night cycles or gravity replicates what they have at home. If they are advanced and benevolent or indifferent, they might simply take over the rest of the Solar System and convert asteroids, comets, moons and so on into enclosed habitats which meet their needs exactly. 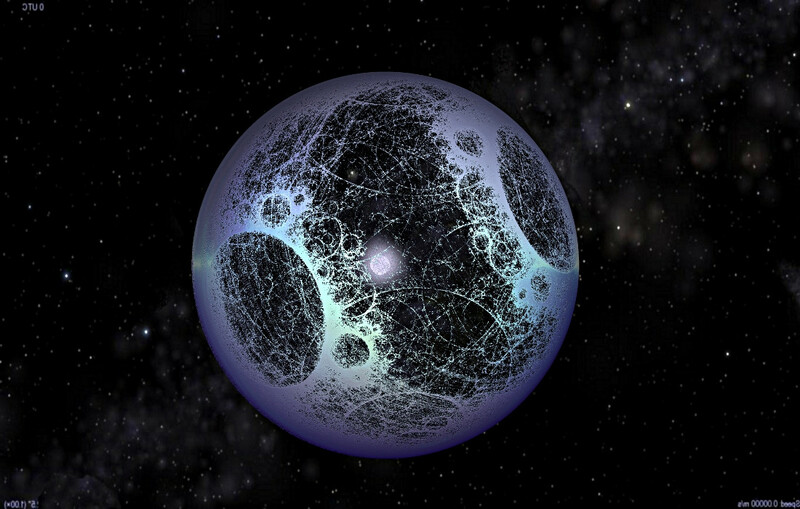 Even building a Dyson Sphere while we helplessly looked on is quite possible. Let's see that Elon Musk guy top this! 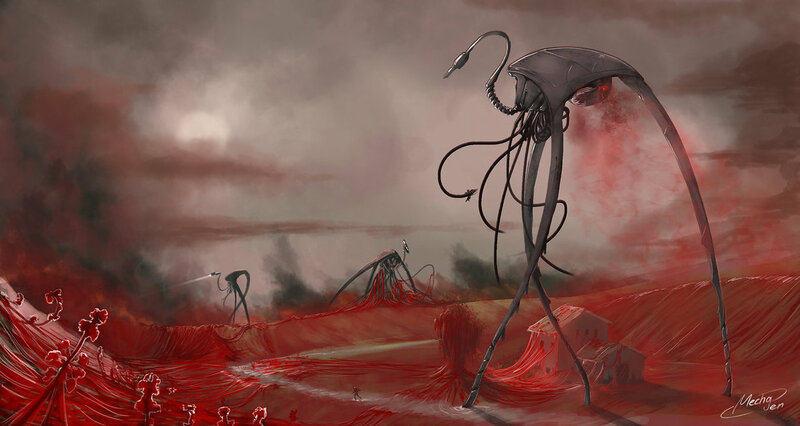 If the technological approach was not to their taste, they could simply replace the biosphere with something more to their liking, much like the Martians in "The War of the Worlds" introduced the Red Weed. If their ecosystem is millions or billions of years older, their plants and animals (or analogues, there may not be any direct equivalents) could simply outcompete the Earthly beings in every niche, which would rapidly kill off the plant and animal life we depend on to survive. 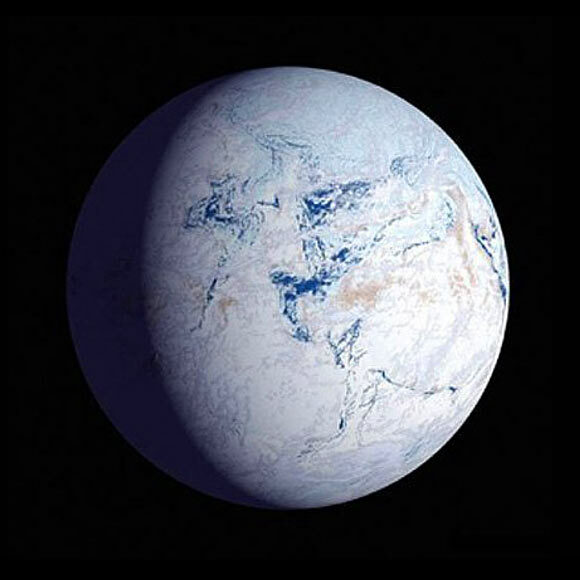 The short answer is that since the Terrestrial ecosystem is tightly integrated, any solution which "just" tries to kill humans is likely to be inefficient and very energy and labour intensive, while collapsing the ecosystem is likely to provide the aliens a clean slate to start with when occupying the Earth. Looking over all these answers, I think the best route would be a virus or some other disease that targets humans specifically, and the aliens could use one which has been a problem for us for a long time: Influenza. They could make it far more virulent (pun intended,) enhance how it damages the body, then use drones to disperse it in key locations to maximize its spread. If the super-flu is potent enough, people could be dying within 24 hours of contracting it, as was the case with some of the victims of the Spanish Flu when it struck during WW I. Actually, that gives me an idea: The aliens could manipulate human nations into starting yet another world war, which means you'll have massive amounts of troops being moved around the globe but also being kept in camps and bases, where they're easier to infect. The scenario would be very much like the Spanish Flu outbreak that took the lives of 50 to 100 million people. Alternatively, you could have them target a densely populated area of the world that also has a lot of people entering and leaving it on a daily basis. India would be one such region. It's packed with people, but it's also trade hub, so it wouldn't take long for people to carry the virus to other parts of the globe. Do this in multiple places simultaneously, and you've got a plague of epic proportions on your hands. People would be dying faster than any treatment could be devised. Those who managed to quarantine themselves could be dealt with by having one of the aliens pump the virus into the air filtration systems of the facilities their using. My point is, the aliens don't need to engineer some brand new disease to wipe out humanity, they just need to enhance one that already exists and let it do all the work for them. Not the answer you're looking for? Browse other questions tagged aliens apocalypse or ask your own question. Will unattended nuclear power plants actually cause damage to their surroundings? What event could push the entire human race into medieval times? How would aliens recognize communication coming from Earth as communication? Could the Earth be flooded? Could aliens colonize Earth without realizing humans are people too? In what way could advanced aliens transport the entire human race, except for three people? Could Earth exist in the *Star Wars* universe?